Because SitStay is all about good healthy dogs, we have many people ask us all the time about a variety of supplements for their dogs. One of the most common that comes up is coconut oil for dogs. 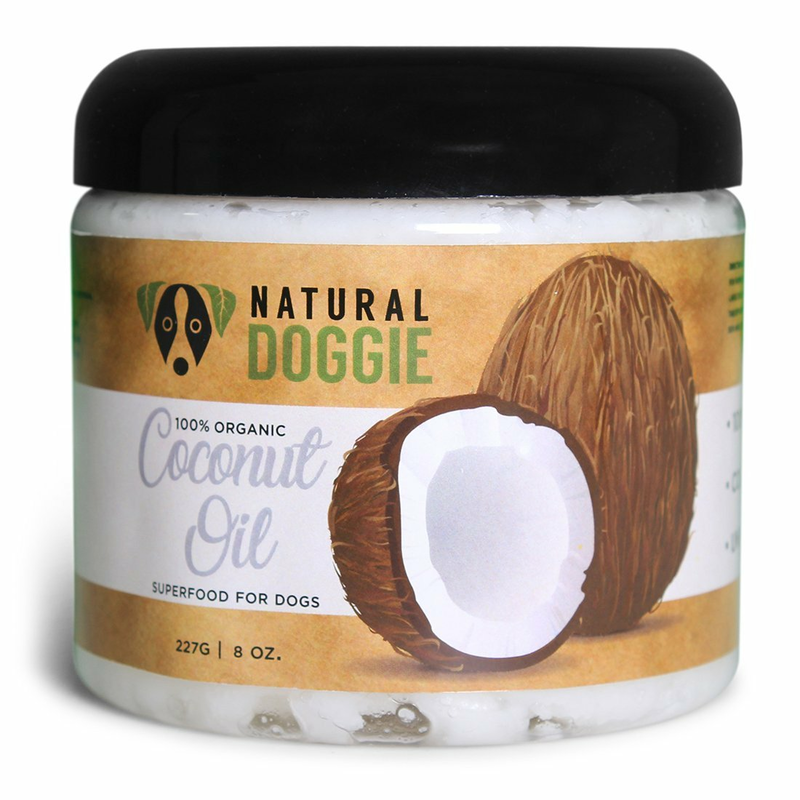 Many of our customers want to know if coconut oil is good for dogs. To help, we've decided to put together the best guide out there to answer all of your questions about coconut oil for dogs. Can dogs have coconut oil? The short answer is Yes. Coconut oil is good for dogs and can help aid your pets' digestion, improve their coats, help prevent infection and more. But please note, it is mportant to follow the proper guidelines. As with most things, too much of even a good thing can end up having negative effects. How much coconut oil should you give your dog? When starting your dog on coconut oil, it is absolutely vital that you start slow. Begin slow, start with a tiny amount. Your dog needs to take time for their body to adjusts to the addition to their diet. If you start with a larger amount of coconut oil, your dog could react poorly. Side effects can include diarrhea or greasy stools. After you've let their body adjust, a general guideline for the optimal dose of coconut oil for dogs is. For a free printable infographic of the dosage amounts, click here. While you can give your dog straight coconut oil, what we REALLY love, are treats that have nutritional benefits for our four-legged family members. Here are some fantastic healthy products that your dog will love, with the benefits of nutritious coconut oil. Within two weeks, his coat was more silky, his skin wasn't red and irritated and he stopped itching so much. The best part is he loves it! He will not eat his kibble without the oil. Definitely give this natural remedy a try! My dog would spit out pills wrapped in pb, cheese, or meat but will gobble down anything in coconut oil. His fur is silky soft and he burps less often now too. Wow. There really isn't much more we can say about that, besides ... what are you waiting for!? If you've learned anything from this guide, be sure to share it with your friends! If you still have questions about coconut oil for your dog, visit our Frequently Asked Questions About Coconut Oil For Dogs blog.